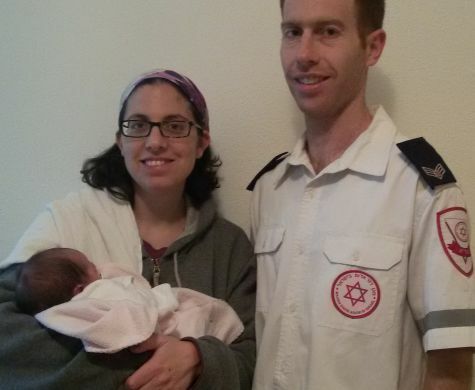 Throughout her pregnancy, Dafna Shechter was telling her husband, Mada ambulance volunteer Ro’ee Shechter, that she had a feeling that in the end, he was going to deliver their baby. 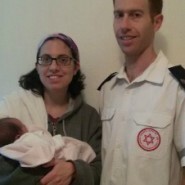 And in the end, Dafna gave birth to their baby daughter on the way to the hospital, right into her waiting Abba hands. Mazal tov to Ro’ee and Dafna Shechter!